“Turandot” is based on a play by Carlo Gozzi, which itself is based on the Persian epic poem “Haft Peykar.” Twelfth-century poet Nizami wrote the tale of Prince Calaf, who tries to woo the unfeeling Princess Turandot in ancient China. Turandot premiered April 25, 1926, at La Scala in Milan. Since Puccini had died suddenly in 1924, the final scenes were written by composer Franco Alfano. 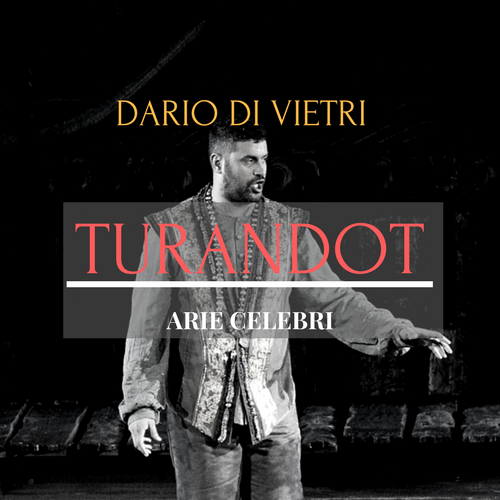 The ending, in particular, is considered controversial; even after she tortures Calaf’s friend Liu, who kills herself, Calaf still wants to be with Turandot. And Turandot, who had been openly hostile to him until Liu’s death, suddenly wants Calaf to love her. Any prince wanting to marry Princess Turandot is required to answer three riddles correctly. If the prince fails, he will die. The Prince of Persia is her latest suitor. His fate was sealed before the opera’s opening events; he failed to answer Princess Turandot’s riddles and now must die at moonrise. Citizens gather to watch the execution, and a slave girl named Liu suddenly cries for help when her elderly master, Timur, is pushed to the ground. Out of the shadows comes a strapping young man to aid them (who we later learn is Prince Calaf). He recognizes Timur as his long-lost father, the deposed king of Tartary (which is now occupied by Chinese rulers). Afraid for his life, Prince Calaf tells Timur never to say his name out loud. Both men are still running from the enemies who vanquished them from their own kingdom. Timur tells Prince Calaf that Liu has been his only faithful servant. When Prince Calaf asks her why she tells him it was because Calaf once smiled upon her many years ago. Prince Calaf is determined to win Princess Turandot as his bride. As is customary for each potential suitor, Prince Calaf rushes to the ceremonial gong to signal his entry into the “contest.” Three of Turandot’s ministers (Ping, Pong, and Pang) try convincing Prince Calaf to change his mind. Timur and Liu attempt to talk Prince Calaf out of it, too. It seems Liu is the only one who can get through to Prince Calaf by confessing her love for him. To their dismay, even that is not enough to stop Prince Calaf. He bangs the gong and Turandot accepts his challenge. Wishing to be free of Princess Turandot’s bloody reign, Ping, Pang, and Pong are in their quarters before sunrise reminiscing and telling stories of their past lives. They also share stories of Princess Turandot’s previous (and unfortunate) suitors. Their time is cut short, however, as the palace trumpets sound. Princess Turandot’s ceremony is about to begin. The townspeople gather under to witness Prince Calaf attempt the impossible. Before Princess Turandot appears, her father takes his seat on the throne. Even the king begs Prince Calaf to walk away from the challenge. Again, Calaf refuses. Princess Turandot arrives and addresses the curious crowd by telling them a story of her ancestor, Princess Lou-Ling. Lou-Ling was brutally murdered by a conquering prince. To avenge her death, Turandot explains she has turned against all men, and no man shall ever possess her. “Hope!” Prince Calaf guesses, correctly. “Blood.” Calaf is right again. Silence falls over the crowd. A few moments later, Calaf shouts, “Turandot!” He is right again. The crowd cheers and congratulates Calaf. Princess Turandot pleads with her father to release her from marrying Prince Calaf, who is a stranger to her. Her father refuses. Prince Calaf, to calm her emotions, gives her a riddle of his own. If she answers correctly, he will agree to a death sentence. If she answers incorrectly, she will have to marry him. She accepts Prince Calaf’s deal. The prince’s riddle is this: “What is his name?” He gives her until dawn to deliver her answer. That evening, within the palace garden, Prince Calaf hears the decree that no one in Peking will sleep until Turandot learns the name of her suitor. If she does not learn his name, everyone in the city will be killed. Prince Calaf sings the famous aria, Nessun Dorma (“No One Sleeps”). The three ministers try to bribe Prince Calaf to withdraw his bargain, but again, they are unsuccessful. Mobs take hold of Prince Calaf and threaten him with daggers, and Liu and Timur are dragged in by soldiers. The prince tries to convince the mob that only he himself knows his name. When Turandot arrives, Liu, faithful to Timur, cries out that only she knows the stranger’s name. Turandot orders her to be tortured, but Liu refuses to tell the secret. Impressed by Liu’s loyalty, Turandot asks Liu how she can remain silent. “Love,” answers Liu. Turandot spitefully commands her soldiers to increase the severity of Liu’s torture. At that moment, fearing Prince Calaf may intervene and get himself killed, Liu grabs one of the soldier’s daggers and kills herself. Timur and the crowd follow Liu’s body as it is carried away. The only people remaining are Prince Calaf and Turandot. He calls her the Princess of Death, yet forcefully kisses her. Turandot begins to weep, for that was the first time she has ever been kissed. Prince Calaf then tells her his true name.